Social media icons are very important. Whether you run a website or you are a blogger, you definitely need social network icons. To tell your users or visitors about your social media accounts. It is very important. With the increase of the use of social media, it has rather become a necessity to have social media accounts. But choosing the right social icons according to your theme is also important. You don’t want your visitor to just ignore your social media links. Due to ugly-looking icons. People use a lot of different techniques to attract the attention of their users. And encourage them to follow their social media profile. This way they not only stay in touch with their users. But also it provides a quick and easy way to promote your posts or products. People won’t visit your website that often as they use their social media accounts. These icons are not made by me, they are made by their respective owners and all the credit goes to them for their work. Link to the download and authors page is in the heading of the icons pack. These are my favorite icons. Clean and minimalist look catches the eye. You can also add the hover effect by using both the dark and colorful icons. Another awesome social media icon pack. It is similar to the one above, it just round. So if you’re a fan of round icons then this is a very good choice. As the name says they have jeans type texture to them. Looks great on pages with white or light background. And also there are a lot of icons available. Black round icons. Best to use with a light background. Adds very neat look. Black and white icons! Silvery Buttons with a lot of icons to choose from. They have a silvery texture to them looks quite nice. Free social media wood icon pack–17 different social media icons for all you web marketing needs. Social icons available in 5 different colours. 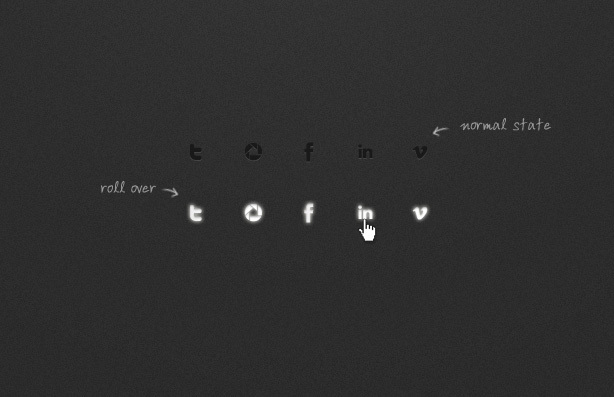 Great to add a nice hover effect. High quality social media icons set. With metal like icons look premium. 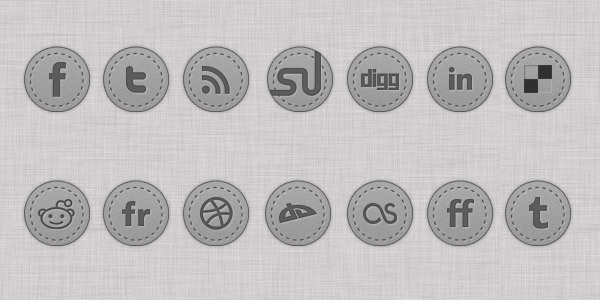 A set of 14 grey social icons in PSD format. You can easy change colours and simply design new hover effects. Clean and colorful social media icons pack. 154 crystal clear bubble Social Networking icons pack. 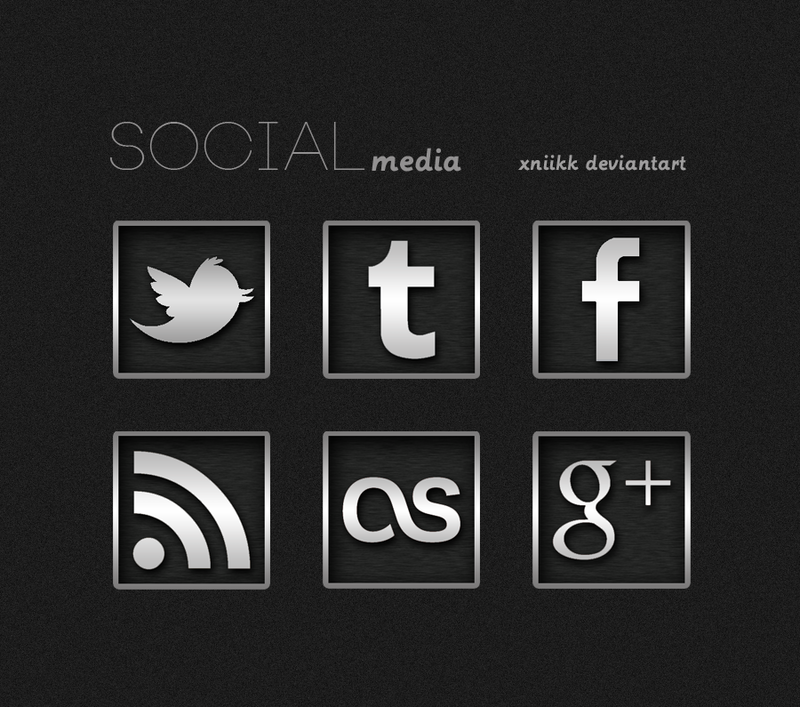 154 Black Paint Splatter Social Networking Icons. 32 social media thin icons in vector format. Clean and hollow like social networking icons. Happy resizing. Each icon has been designed to have a recessed look in the normal state. While on rollover state the icon gets a white glow. This set only contains the 5 icons shown here, but since the effect has been achieved using photoshop’s layer styles. You can simply add your own icons. Copy the existing styles. And you’re done! This set contains 34 most popular social networks/bookmarking sites icons. The colored icons are immediately recognizable by people. This awesome set is a collection of 40 chalk-themed social media icons handcrafted using Photoshop. The set include a PSD file to easily customize the icons. 214 Minimal Icons with a resolution of 256×256 px each. PNG Format. And Comes in 2 versions [Multi colored & Single colored] Metro Style round icons. Clean and scalable, sixty free vector icons useful for anybody looking for cool icons for his website or blog.